Sarbananda Sonowal said education is the guiding force for a society and as such the state government has introduced 'Gunotsav' for quality education by which public representatives and government officers have been involved to evaluate quality education. 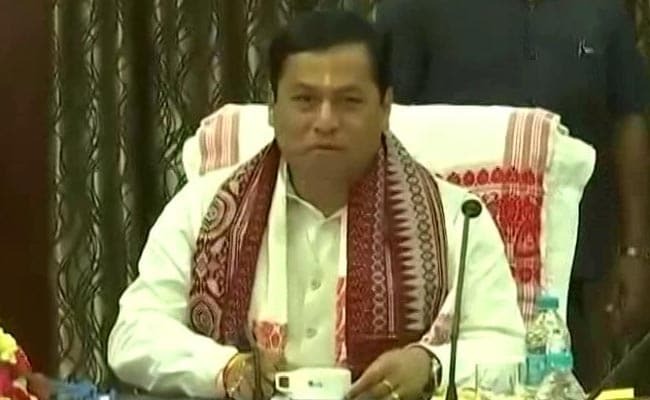 Guwahati: Assam Chief Minister Sarbananda Sonowal has stressed the need for quality education as it helps a person to become able, skilled and makes a society strong. Sarbananda Sonowal said education is the guiding force for a society and as such the state government has introduced 'Gunotsav' for quality education by which public representatives and government officers have been involved to evaluate quality education. "Education is a means by which people below the poverty line can achieve success by acquiring necessary skills and the Assam government is committed to provide quality education to all", he said at a function organised to provide scholarship to 100 students belonging to tea garden and other areas at Dibrugarh last evening. Sarbananda Sonowal said 60,000 schools in the state have shown their inclination to ensure qualitative education. He urged the teaching fraternity to help in moulding the behaviour of students towards cleanliness to ensure the success of Swachh Bharat Abhiyan launched by Prime Minister Narendra Modi. He said if students are disciplined, punctual, dedicated and obedient, they can contribute to the formation of a good society. The chief minister said all educational institutions should take the initiative in reforming society and the teaching fraternity should play a lead role in this direction.